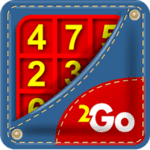 It would seem that the time for Sudoku games has long passed because in the modern mobile world there are a huge number of toys of various genres, ranging from conventional shooters to serious logic games. However, it is the Sudoku games that can really train your brains. Some of Sudoku’s games are based on the laws of mathematics but there are also alternative Sudoku games – we’ll tell you all about them today. 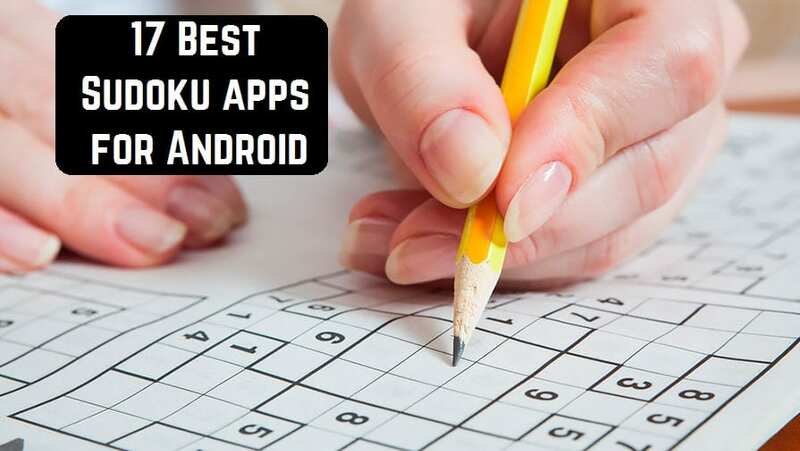 We picked up 17 Best Sudoku apps for Android. Just a chic edition of Sudoku. There is a possibility to play both in the most ordinary and non-standard field. 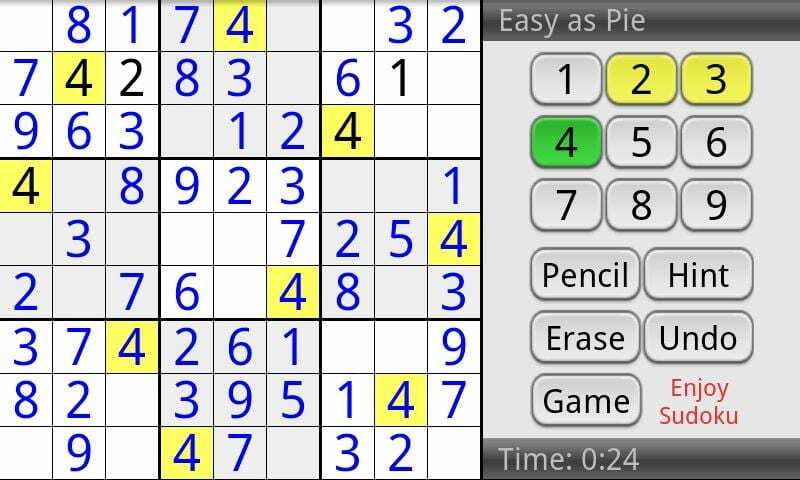 In the game, there is an option to select a field other than 9 squares. Prudent developers took care to ensure that beginners and experienced users were offered tasks of appropriate complexity, so in Sudoku, there are five levels. Their main difference is how many digits are given to the user at the very beginning of the game. It is worth noting that the game has quite extensive settings – the choice of color, the way of recording numbers, checking sudoku, showing the timer, etc. Still, in the game, there is the ability to save the game. As for the management, in Sudoku it is implemented quite conveniently: a tap on a certain cell opens a virtual keyboard on the screen, on which there are only those numbers that are missing in this cell. Also, the developers provided an opportunity to make notes on the entered figures, in addition, there is a rating of users. Sudoku embodied all the qualities of a good logical game, which is also an excellent warm-up for the bored brain. It’s like chess, only in Chinese style. The game has a very nice, not distracting interface. So even newcomers will quickly become familiar here. 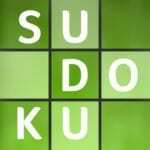 Andoku Sudoku 2 is the second version of the best Sudoku on your appliance. A very good puzzle, according to many, it may be considered the most optimal pastime for Android. In total, the game has 6 different versions of this puzzle, so you may opt the variant that you like best. In total, the brainteaser has 8 diverse levels of complexity and about 10 thousand levels, so there will be no time to get bored. And you will not need to look for other options of this brainteaser, this pastime will suffice you for a long time. 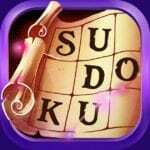 The tasks are many and all of them will be very interesting to Sudoku puzzle fans. For beginners, there is an easily customizable prompt mode. You may easily customize the game interface as you want. Also, you are able to adjust the degree of complexity, whether you are a professional or a beginner. 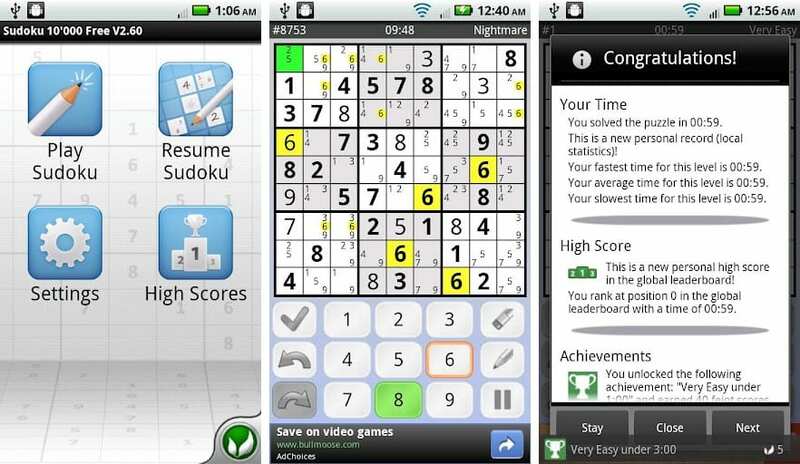 Andoku Sudoku 2 certainly will not let you get bored. Excellent application with adequate levels of complexity. It’s up to you to decide Sudoku for an hour only on hard – in the order of things! An excellent system of tips, with which you can cool your level up. 15000 puzzles, there are many variants of complexity, so it is suitable for beginners and experienced players. Sudoku is divided into groups, groups are divided by complexities. In general, the developers have tried very hard. 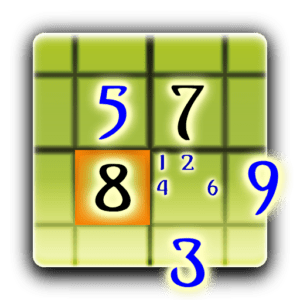 If you are an ardent Sudoku fan, and for a long time seeking out a really handy application that permits you to click numeric heads with maximum comfort, then your searches end on the Sudoku Daily tool. In our opinion, this is the top program for playing Sudoku, ever created by mankind. Automatic color selection of numbers, a pencil, an unlimited opportunity to cancel moves, several types of prompts, automatic filling of possible candidates – that’s just an incomplete list of features of this wonderful application. The pastime is affordable in paid and free versions, free lets you to unravel a day for one puzzle for each degree of complexity. This Sudoku is the most popular in the market. 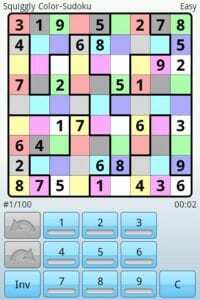 To play in Sudoku Free is very nice and convenient. When you start Sudoku Free, you should select one of 100 jigsaw puzzle, each of which in turn has five levels of complication. When selecting puzzles at the top of the screen, there are time and best areas for fixing the spent and better time of passing this level. Among the advantages of the application, you may highlight a user-friendly interface, recommendations, and tips for novice players, more than 5 complexity, from the easiest to the most extreme, so you may effortlessly find the right one for yourself. Also, there is an opportunity to select the coloring of the board and the font, for each level there is a separate statistics. 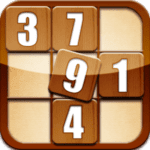 In total, more than 500 puzzles are affordable in the application, so that you will be engaged in the game … Sudoku Free – speed up the time for solving Sudoku puzzles. of the pastime and one of five modes (normal, X-Sudoku, hyper, percent, and color). Modes differ from each other only in color. But the styles, more precisely the style squiggly, gives the original feature to this application. The game in this style divides the square game area not into 9 squares but into 9 arbitrary figures, respectively, with nine cells highlighted in different colors. All other rules of the game remain the same. 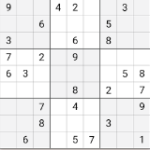 Honestly, it’s quite interesting to play such a sudoku. 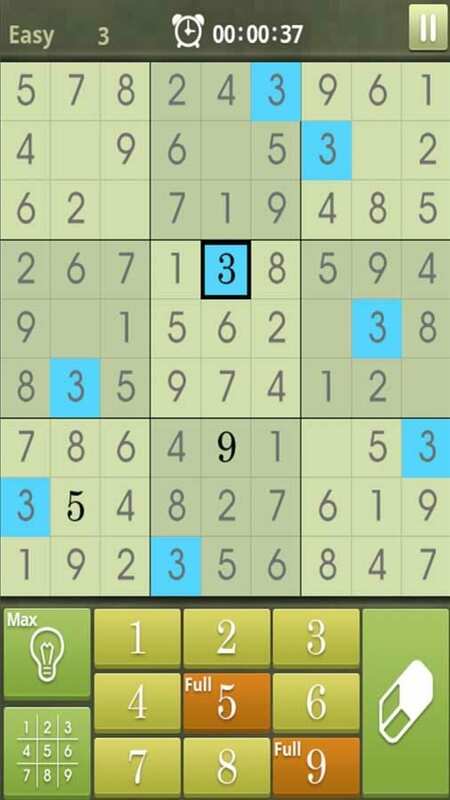 In order to put the figure in the Super Sudoku in the given place, it is enough to click on this cell and on the desired digit from the bottom of the screen. You may mark the cage with several numbers at once. On the digital area, there are buttons for the return of moves forward and back, the button for cleaning the cells and the button Inv, which sets the label at once with all the digits. When you specify a cell with a number in the game area, all other cells are highlighted in yellow with the same value, which allows you to better navigate in the field. The jigsaw Super Sudoku has 100 unique levels in each of the styles of the pastime. The whole process of the game is conducted for a time, which is stored under each level. 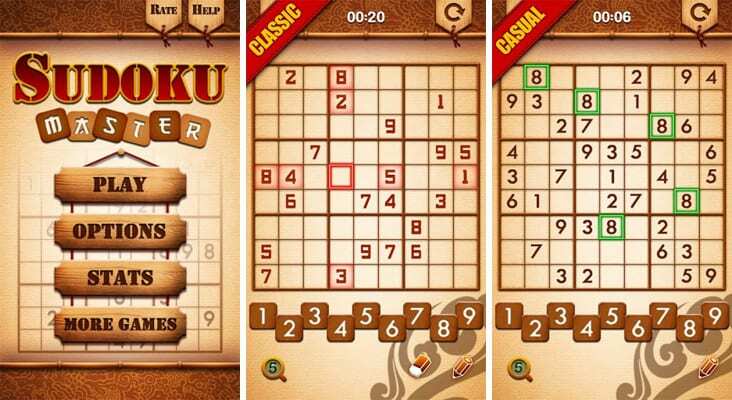 In the settings of Super Sudoku, you may choose a color theme, a color representation of game modes, an input method, a style for highlighting numbers, and others. 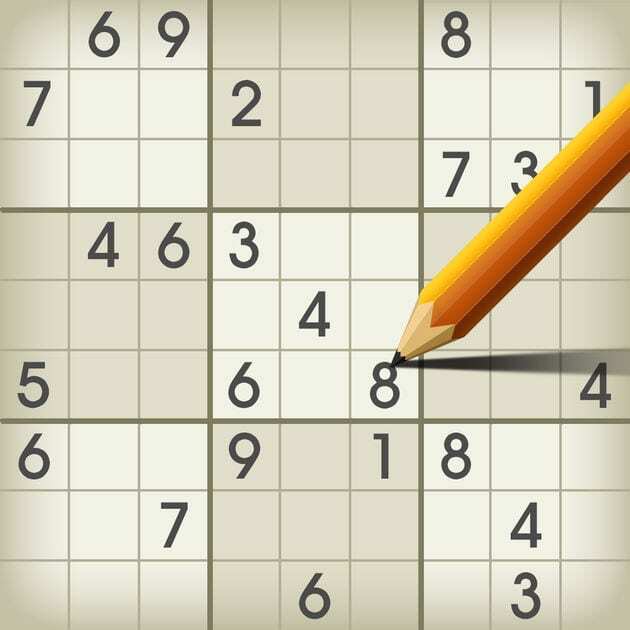 Sudoku Free is one of the most popular board games for logical thinking. Its rules completely recreate the rules and dynamics of Sudoku and allow its fans to enjoy the game in any place. Tasks of the game. As in the classic game, the player will have to solve puzzles with numbers. Also, in the game menu, there is a section that allows you to learn more about Sudoku and its rules. Game Modes. 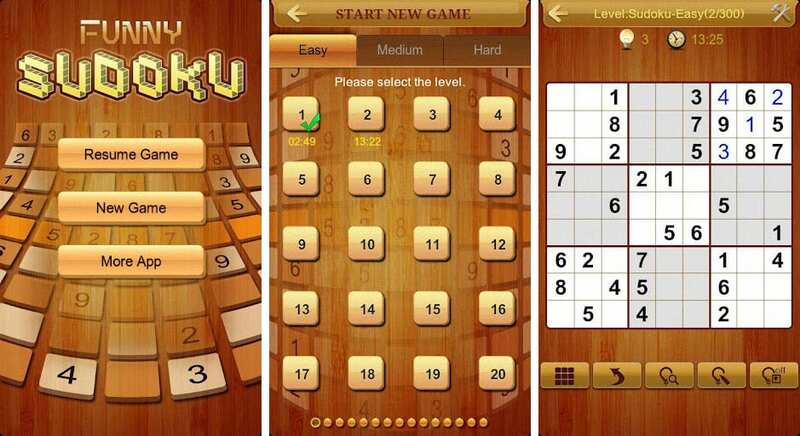 Sudoku Free will please beginners and experienced players with four levels of difficulty: light, medium, complex and very complex. Graphics. The graphics of this game does not have a high level of detail, and background images of its diversity, because this category is not its strong point. Control. Clicking on the desired zone, the keyboard will appear on the screen, with the help of which the player can select the desired digit, make a note or clear the field. In addition, the game has other useful features, such as retry, cancel the move and others. Useful tips. If you are a beginner, you should know that the jigsaw has a lot of settings and tips that may asist you deal with the game. Experienced players can turn off all these tips. 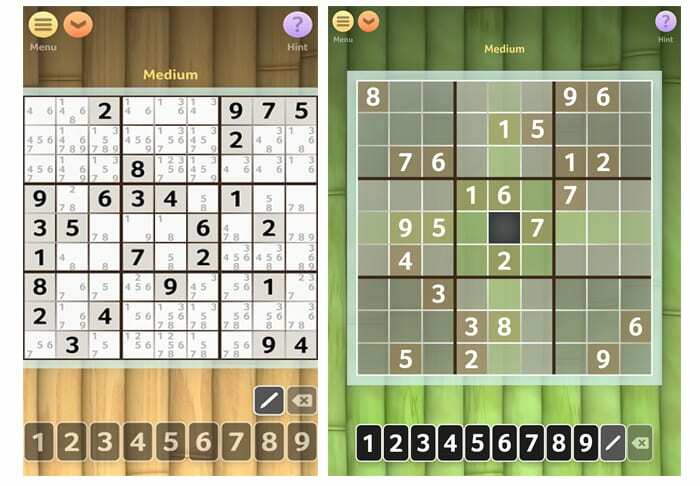 An updated edition of the game Sudoku from the developer Go App. Now you can access as many as six game modes with awesome graphics, like for a similar game, three complexity levels and countless levels. you can continue at any time at the level where you stopped or start your let Sudoku from the beginning. 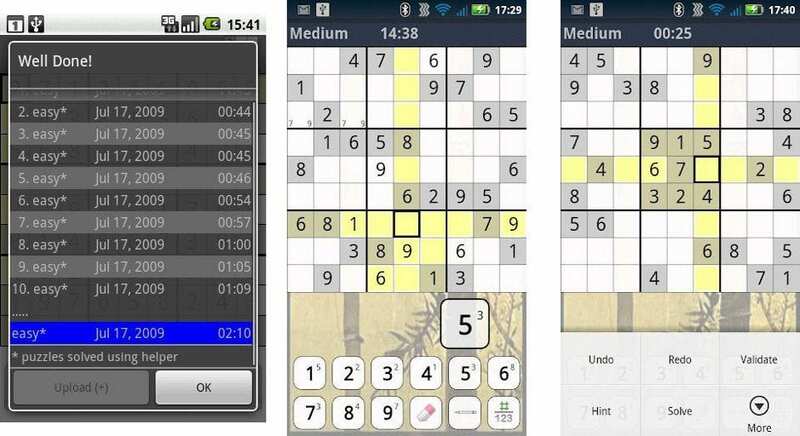 Sudoku Adventure – is a very interesting version of the Sudoku puzzle for Android. There is an Adventure mode in which you need to go through 30 levels, each of which will be more difficult than the previous ones. There is also a free game mode, in which you may opt one of three difficulty levels. Beautiful graphics, which is opportune for Android-smartphones and tablets with a high-resolution display, the ability to play a free game without a plot, nice music and sound effects. Sudoku Master is a popular jigsaw with a beautiful design! 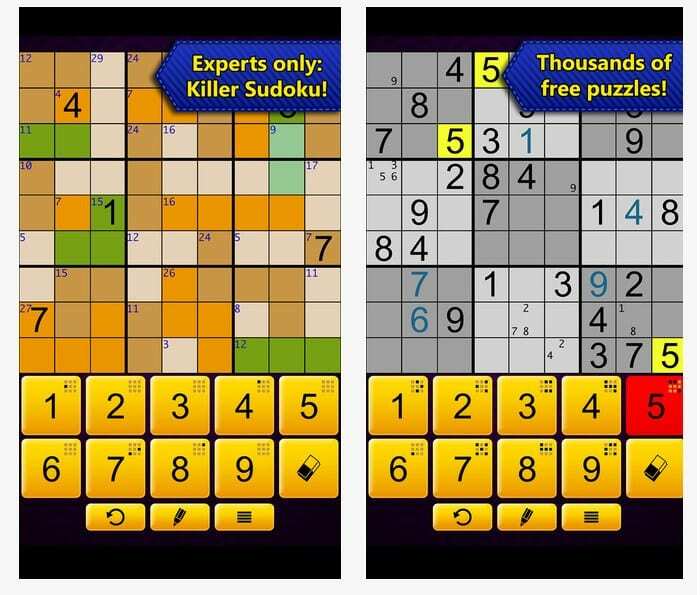 The number one game among Sudoku puzzles on Google Play with amazing graphics and deadly functionality! Train intelligence and observation in this classic puzzle! To all lovers to experience the possibilities of your mind is highly recommended! Fitted to an ideal state, the game offers an intuitive gameplay that can be controlled easily by supporting the multi-touch function. You will never need paper sudoku! Try your skills in the vastness of two thousand puzzles and four difficulty levels, go from beginner to expert! Choose one of two game modes, classic or casual (with automatic removal of incorrect numbers). Progress on the pastime is saved automatically, you may always go on from the same place. To facilitate the passage, the functions for canceling and repeating the last move are affordable. To make more clarity and keep everything in front of your eyes, use smart notations, select the right places with a pencil. It is possible to check the errors and become familiar with the game’s instructions for correct and wrong moves. Statistics are constantly monitored. Only the external component already deserves your attention! Evaluate the efforts of designers and cheer your brain! Sudoku is the most famous and breathtaking jigsaw for your appliance. To try this game at least once in life is definitely worth it. The game will please anyone – both a long time admirer of the genre and a beginner. If you have repeatedly denied yourself the pleasure of playing Sudoku because of the apparent complexity, finally for you there is a solution! 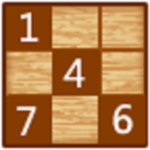 The game is equipped with tips and can easily and thoroughly teach the player the rules of Sudoku. To get advice at any level, click on the Hint button. The system will indicate what to do, with the help of colorful animations and pictures. 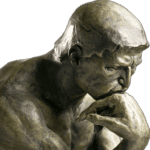 But do not think that the clues just give the right move: if you do not want to simplify your task too much, within the game the help will only indicate the right strategy. Even experienced players will discover new methods for resolving problems. The levels of Sudoku in the game are many, enough for many hours of play. You can endlessly repeal and repeat actions. There are five types of complexity. Learn the rules and advance in resolving various puzzles. The interface of the game is understandable, the font size can be adjusted. The appearance of the game will please you in moments of thought: there are five variants of design and two options for the appearance of cells. The pastime can check errors automatically. You can play in any position, it supports both types of orientation in space. With the achievements of masters from around the world can be found through the results table. Sudoku is a famous pastime for the development of logic. A jigsaw for composing combinations with numbers. Game space is a field from the 81st cell. Each 9 cells are separated into a separate mini-field. You should make sure that each mini-field has numbers from one to nine. In addition, each column and each line must also have all the digits from one to nine. To resolve the task is not mere, but it’s worth trying! In the pastime, it is affordable to change the complexity. Many puzzles are simple and not very. There is a system of tips. The progress of resolving each puzzle is saved automatically. To cancel and to repeat a course it is feasible indefinitely. After resolving the puzzle the game can show errors. The interface is clean and does not contain anything superfluous, and the colors in the game highlight the necessary objects. The jigsaw is supported on all types of mobile devices. Start with simple levels and master the famous game with numbers! 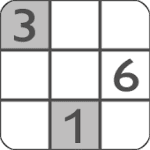 Sudoku World is a logical Japanese jigsaw that develops memory, mindfulness, and concentration, as well as helping to keep your brain in good shape. 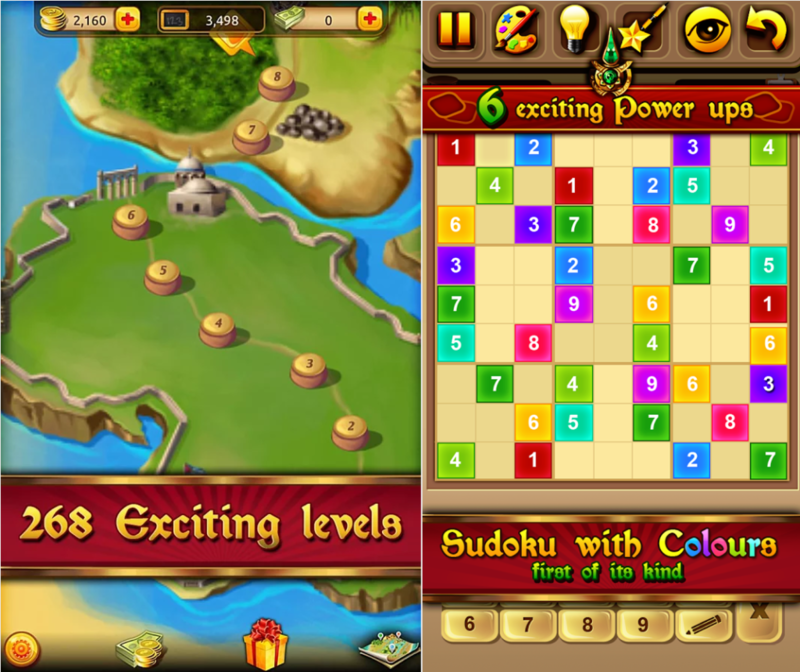 Sudoku World will give you more than 8,000 layouts, divided into 4 degrees of complexity. For the usability of guessing, the pastime has implemented the highlighting of the selected number, the designation of the column and the rows at the intersection of which the selected cell is located, the ability to write down possible options of numbers and a hint in the cell. Also, developers implemented multiplayer with a table of records and accomplishments. 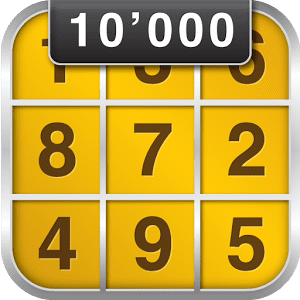 Sudoku Epic – fill the cells of the playing field with numbers from 1 to 9 or letters, depending on the Sudoku option you have chosen. Resolve all the jigsaw puzzles! Develop your logic and intelligence by resolving jigsaw in this enthralling pastime for Android. 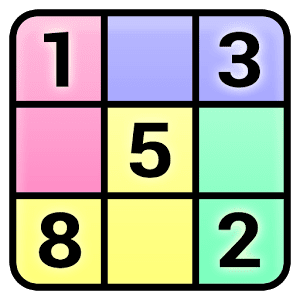 In classical Sudoku, you should complement the square game board cells so that the same figures are not encountered in rows, columns, and squares of 3 by 3 cells. In addition, you may play unconventional variations of Sudoku, for instance, to form words and letters in rows and columns, etc. 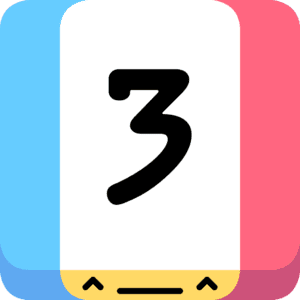 Threes – this is also not too complicated game but surprisingly addictive. Firstly, it is made in a minimalist style. This means that it is already so interesting even without bright and colorful graphics. 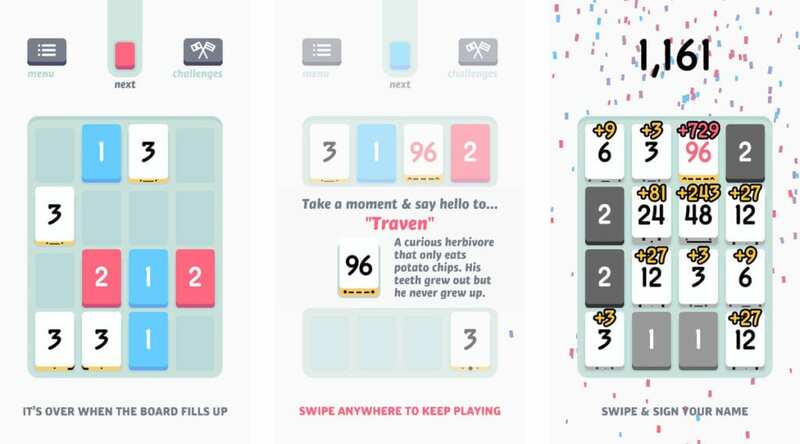 Secondly, Threes is an excellent find for lovers of numbers. So, in front of you is a field of 4×4. First, in some cells, there will be numbers 1 and 3. You will need to connect a unit with a deuce, a triplet with a triplet, a six with a six, and so on. When one digit is layered on the other, the values are doubled. For example, if you combine a triple with a triplet, you get six. Just do not forget that when you move the numbers from the cell to the cell, a new number appears in any free cell. You need to guarantee that the free cells do not end, otherwise, you will lose. After that, the final result is summed up. Larger numbers are estimated by a significantly larger number of points. That’s the whole game. Is it worth mentioning that not the actual description of the pastime captures, but directly the gameplay. It really was on top. The records can be shared in social networks. This is the most popular Sudoku jigsaw that exists at the moment. At the beginning of the pastime, you may opt from four degrees of complexity, starting with the level for beginners and ending with the Sudoku jigsaw expert. 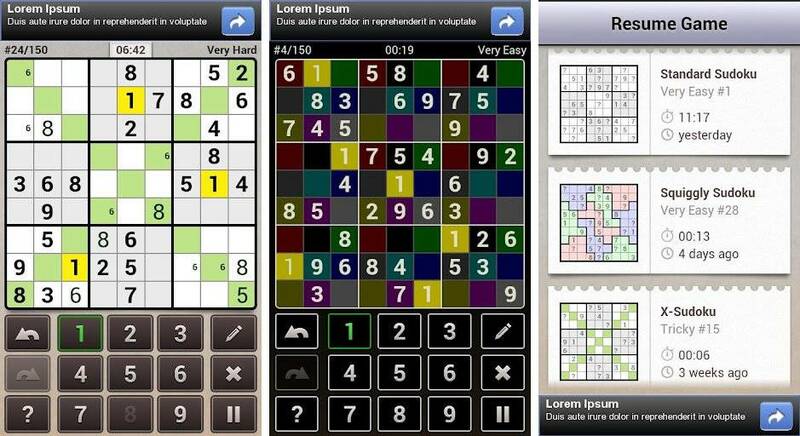 Sudoku Quest unites many Sudoku variants from around the world. It contains not only quests but also engages the execution of missions. Sudoku Quest is a revolutionary puzzle where you should append missing numbers. But you need to do this in a slightly unusual way because the rules of the pastime do not tolerate the repetition of numbers on one line. Solve complex puzzles and earn points to develop intelligence and memory. At each level, special items are available that permit you to pass through any level. For example, if you are stuck during the passage, you can use a tip that will show you where to set the numbers. Special items can be used only once for passing the level. Due to the fact that the developers used a minimalist style and the usual color scheme, it turned out to be an excellent application in the graphic plan, unlike the black and white original, which bores after several hours of play. This toy is really designed to replace traditional Sudoku games, and you do not lose anything from it, but only get an irreplaceable experience. This is a fairly simple game, designed to teach children and beginners the basics of Sudoku in this business. 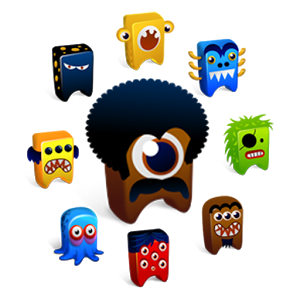 The interface of the game is made in a cartoon style, and in the cells are not the usual figures but colorful monsters, so that the toy visually attracts the children. In this case, in the future, the child will be much easier to play in the present Sudoku. 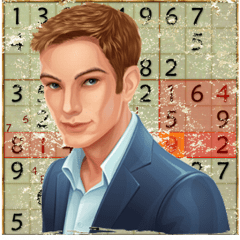 In order the game in Sudoku has developed for you as positively as possible, you need to concentrate your attention well, activate your logical thinking and break into battle. Do not worry if nothing works out – logic games are created to develop your ability to calculate in advance what will happen next and develop it.